The strategic session on elaboration of the regional project on development of tourism was started in Salekhard on the 11th of April. 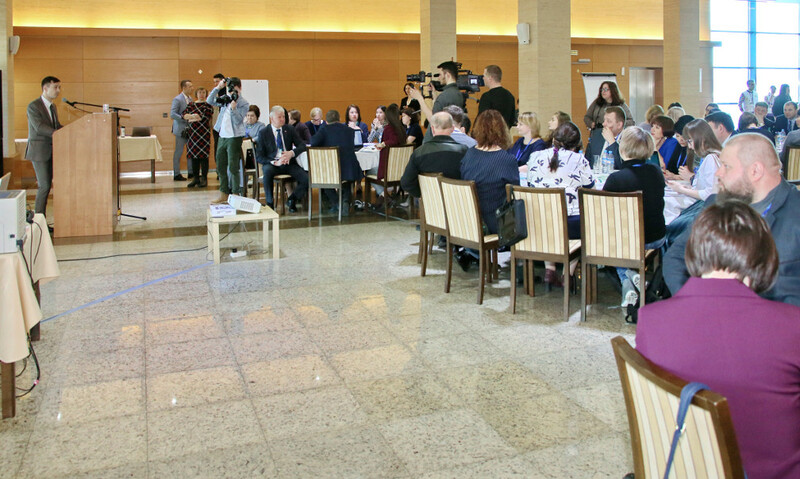 Representatives of the sphere of tourism from all municipalities of the region, heads of specialized agencies and also public organizations and experts from Moscow are participating in the activity. They are considering development of the tourist branch from another angle, will elaborate promising aims and functions in order to receive the breakthrough tourism in Yamal. The director of the department of youth policy and tourism of Yamal Nayil Khairullin says that over the past three years the industry of tourism is actively developing in the region. The flow of foreign tourists four times increased. Thus, last year more than 170 thousand people from 35 countries visited Yamal. By 2020 it is planned to make a breakthrough and to receive more than 200 thousand tourists. Now there are 10 tour operators in the region, which are in the list of the Federal Agency for tourism, 5 of them fulfill activities on development of domestic and inbound tourism. They are located in Salekhard, Labytnangi, Noviy Urengoy and Priuralskiy district. Nayil Khairullin notes that, according to the world organization, tourism develops at least 50 related professions in parallel. Event tourism is very well developed in the region. The most popular are the following events: the Reindeer Herder’s Day, the Crow’s Day, as well as fishery and mountain tourism. Also, climbing the mountain “Rai-Iz” grows every year. This year, the number of people, who wished to climb the mountain and to visit the weather station, exceeded more than 350 people. Last year it made 190. In addition, tourists are attracted to Yamal with its unique location, the ceremony of crossing of the Polar Circle, the Polar Ural Mountains and the opportunity to see the Northern lights – Aurora Borealis. However, tourists are stopped with the high price of air tickets, the lack of roads and package tours at affordable prices, and there is still no brand recognition of Yamal. One more direction becomes popular, “TransUral: the Arctic ultra marathon”, it is planned to conduct it on the 17th and the 18th of August. This year the expected number of participants is about 500 people. 60 applications have been already received. “This is a promising and interesting direction, thanks to which new routes can appear, including in other locations”, Nayil Khairullin said.